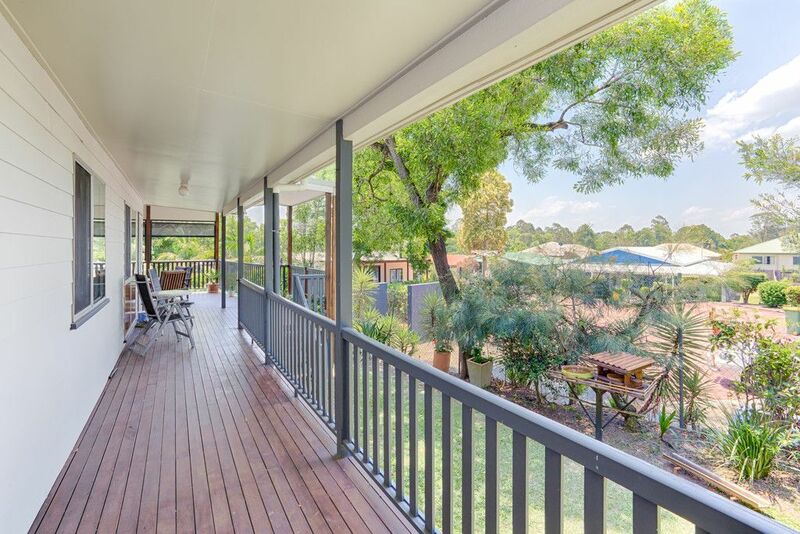 Too early to move to a Seniors Village?, looking for a perfectly placed Investment Property?, or wanting to secure your first Home for you or your Family? 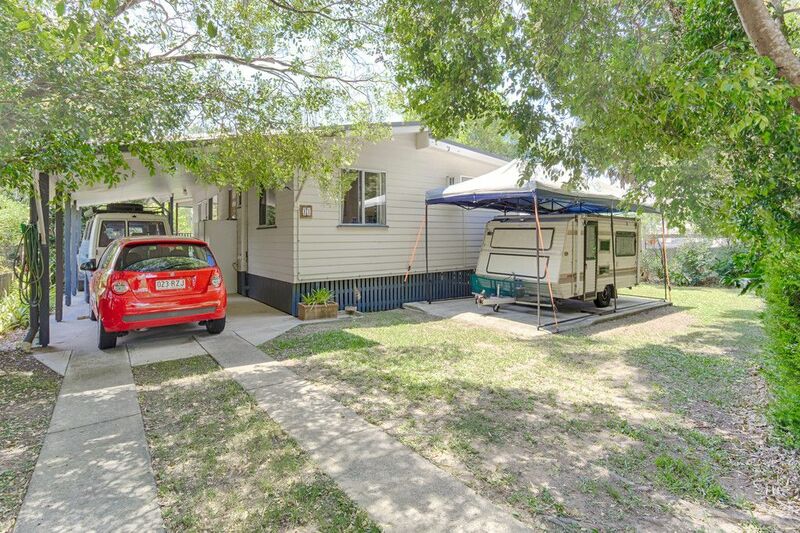 I think I have a property for all of you! 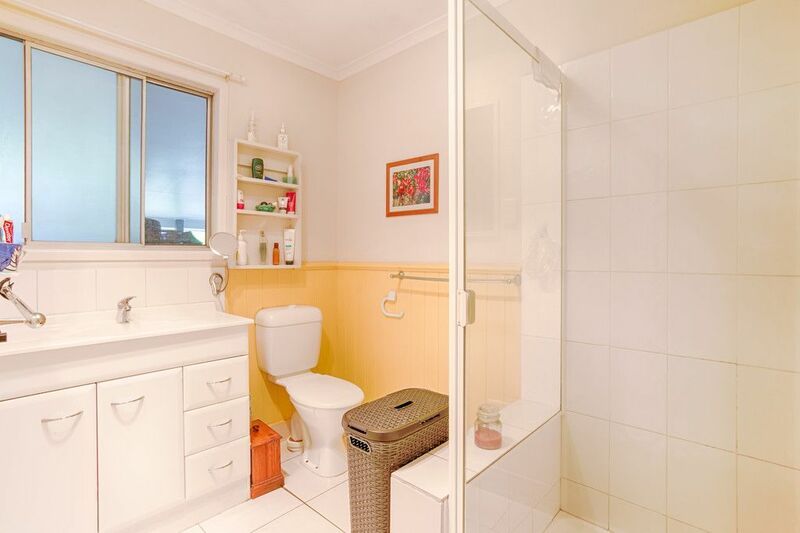 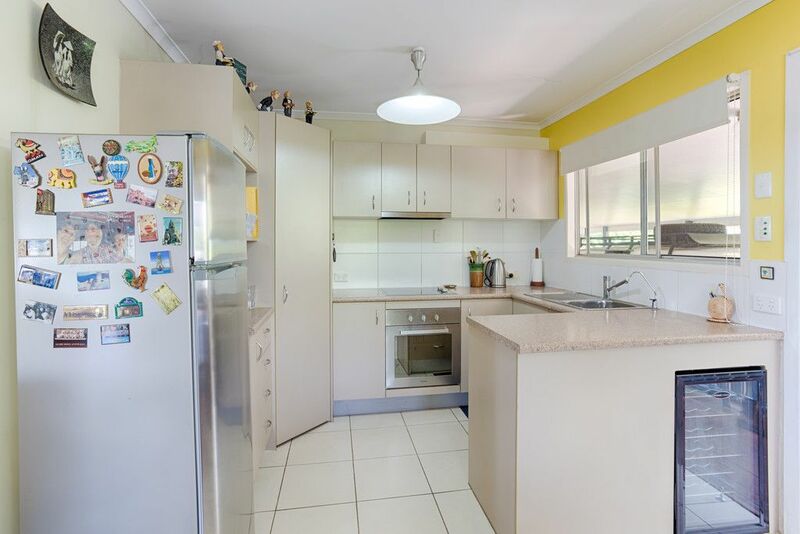 This delightful 3 bedroom 1 bathroom, lowset Home has been absolutely doted upon by the present owners. 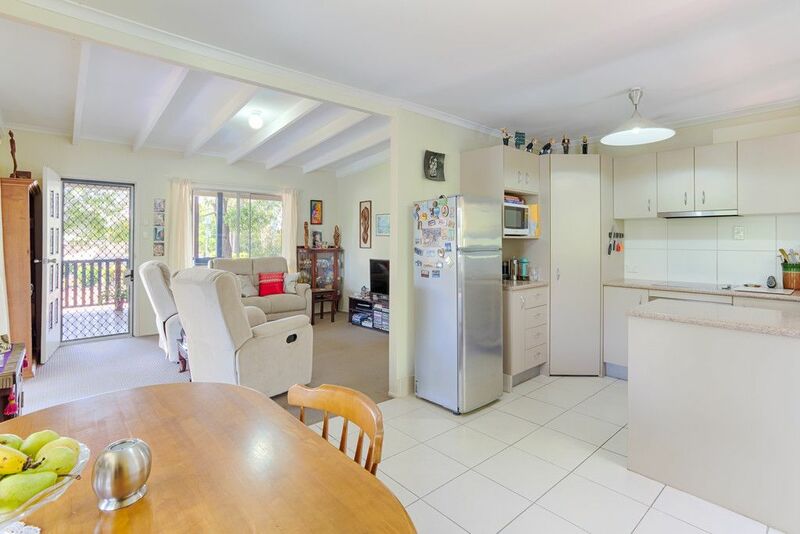 In immaculate condition, this beautiful home cleverly creates space through it’s focus on indoor and outdoor living. 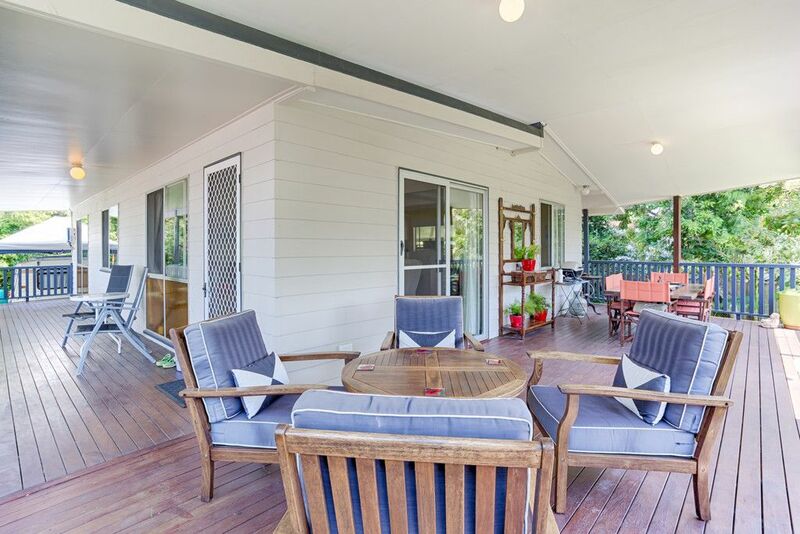 A large open deck supplies an abundance of easy living space, perfect for those Queensland summer nights! 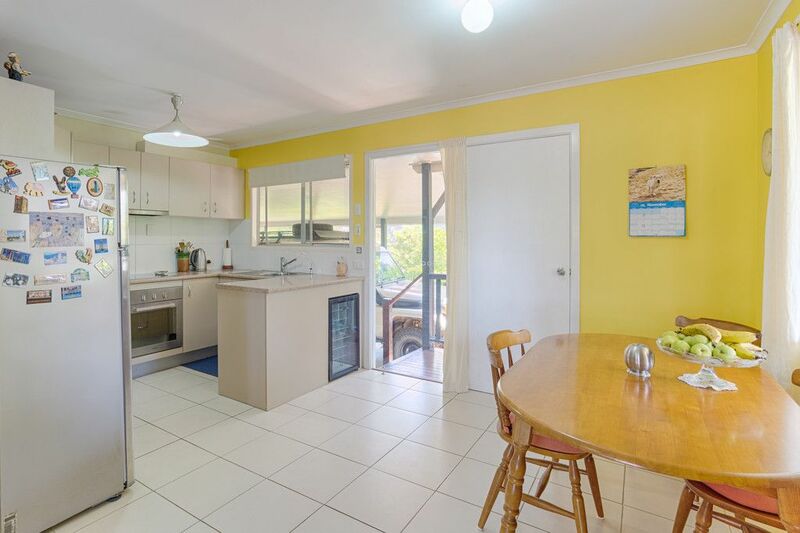 A combined Kitchen/Dining area adjoining the veranda centralises the home with all appliances and with the added touch of your own Wine Fridge built into the kitchen counter, what is not to like! 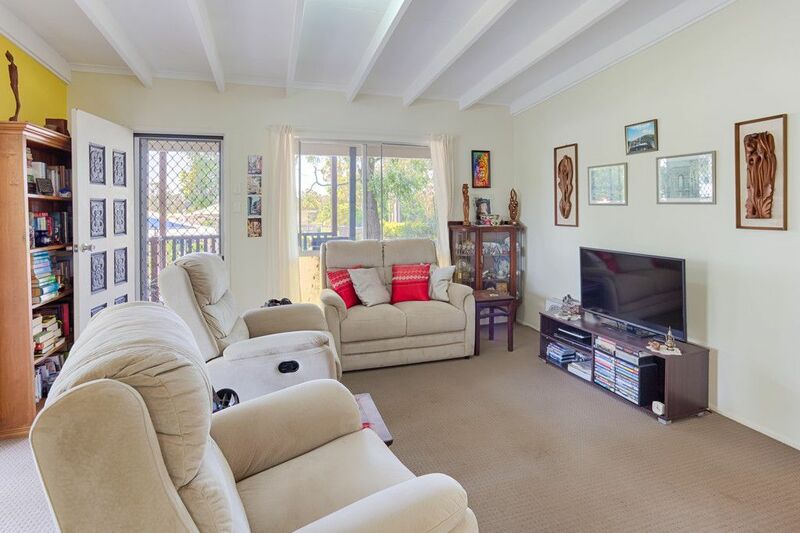 The Lounge exhibits a peaked exposed beam ceiling once more enhancing the feeling of space. 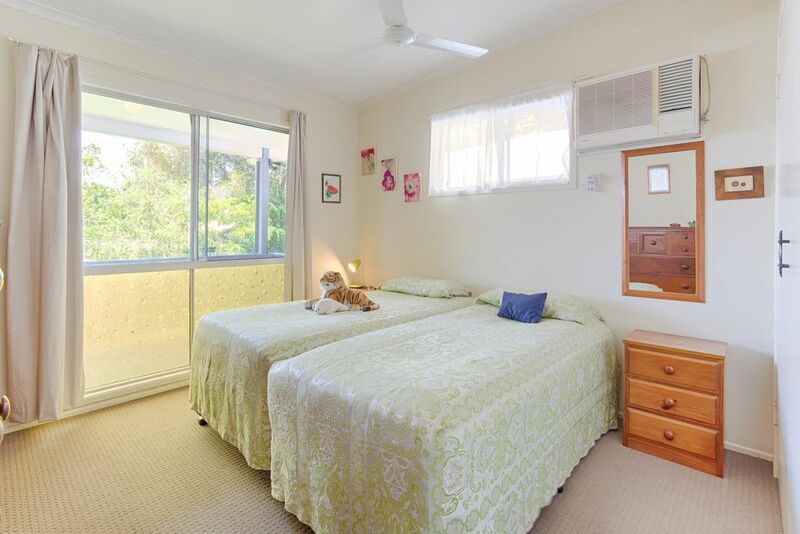 All Bedrooms have ceiling fans, the master with a built-in and air conditioning and there is also a separate private toilet for convenience. 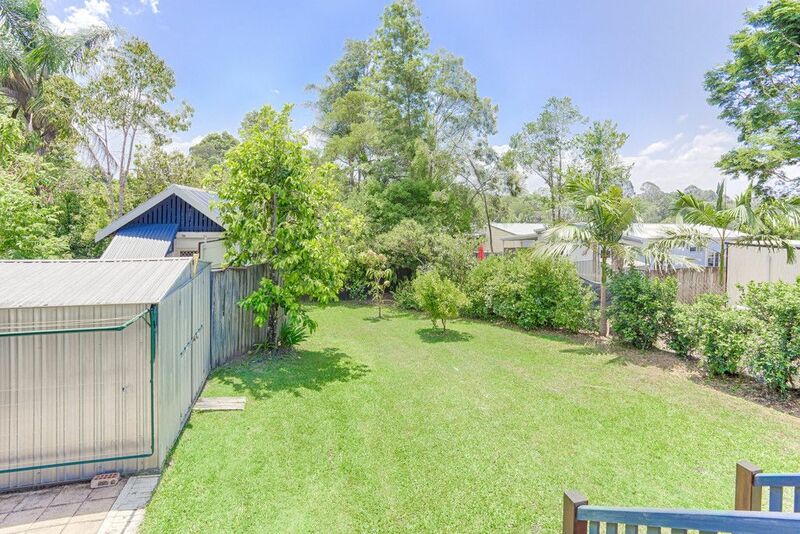 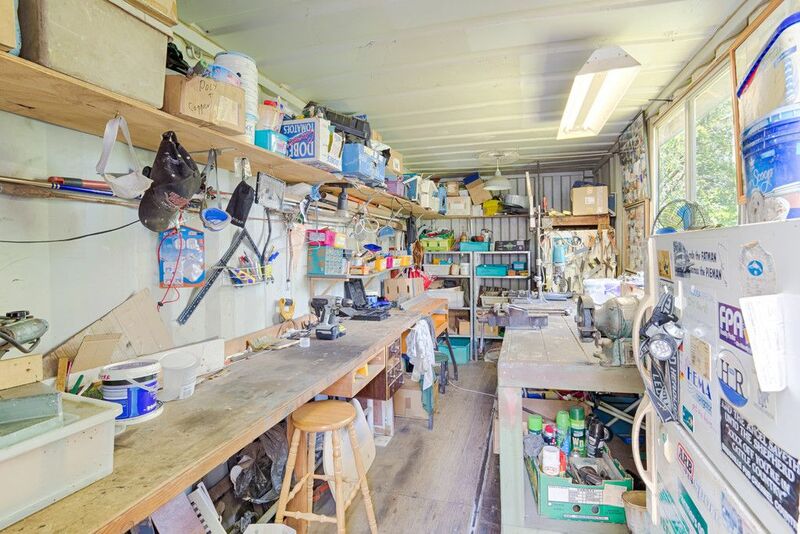 There is a huge 2 car carport with direct car/trailer access to the rear yard which is fully fenced with the compulsory powered workshop and a 3×3 garden shed. 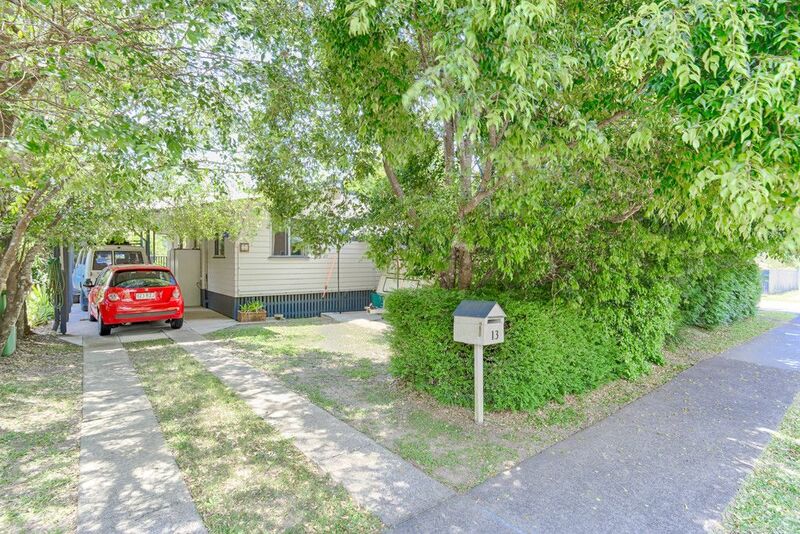 At the front of the home, secured behind a large garden hedge is a pad perfect for parking up the caravan, boat or just extra car space. 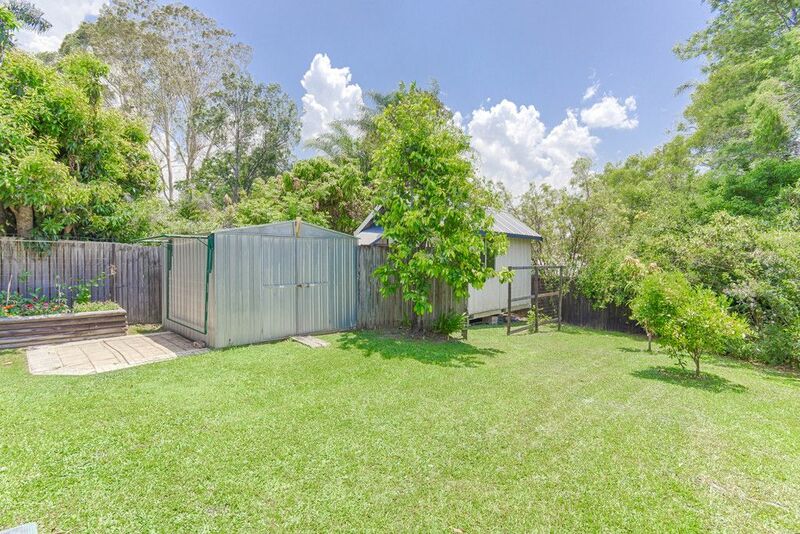 A 2000L rainwater tank underneath the home feeds to the washing machine and 3 garden taps when needed and the bonus of a 1.5kw Solar system! 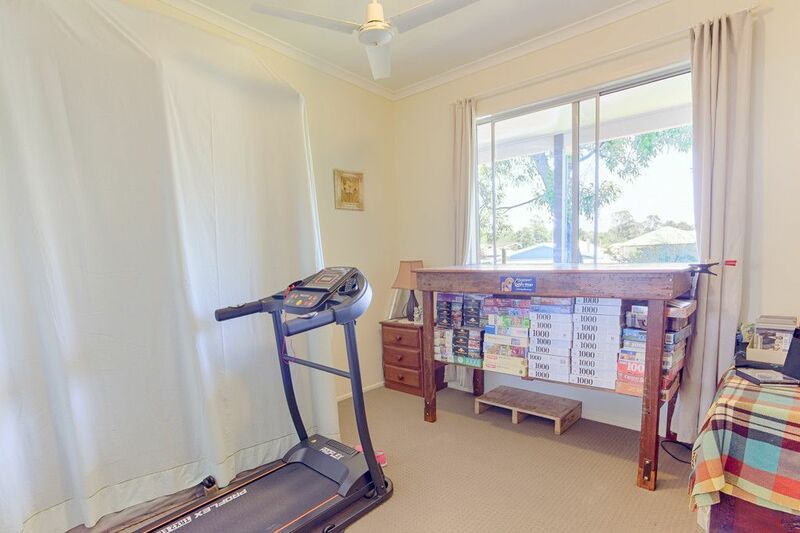 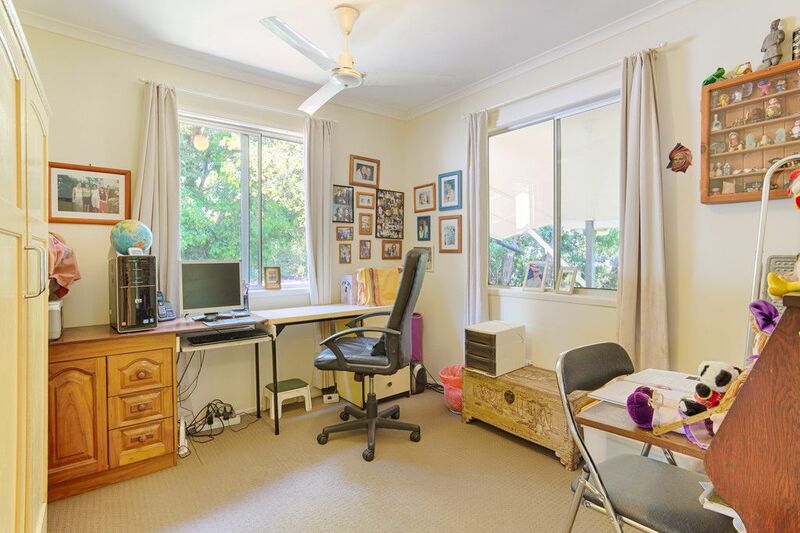 All of this and literally 15 meters to the Bus stop, you can see Cooroy Golf Course from your front lawn, walking distance to the main street, the RSL, the IGA, do I need to go on? 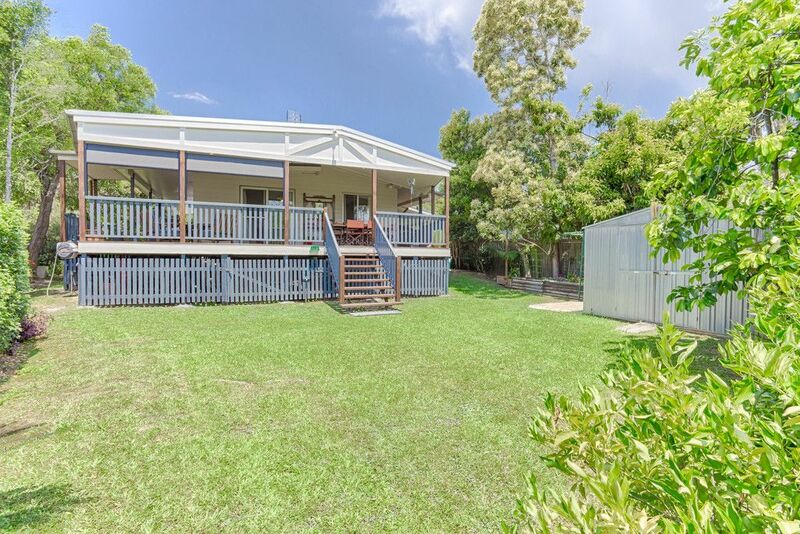 Maybe you want to head to Noosa instead, 25 minutes and feel the sand on your feet. 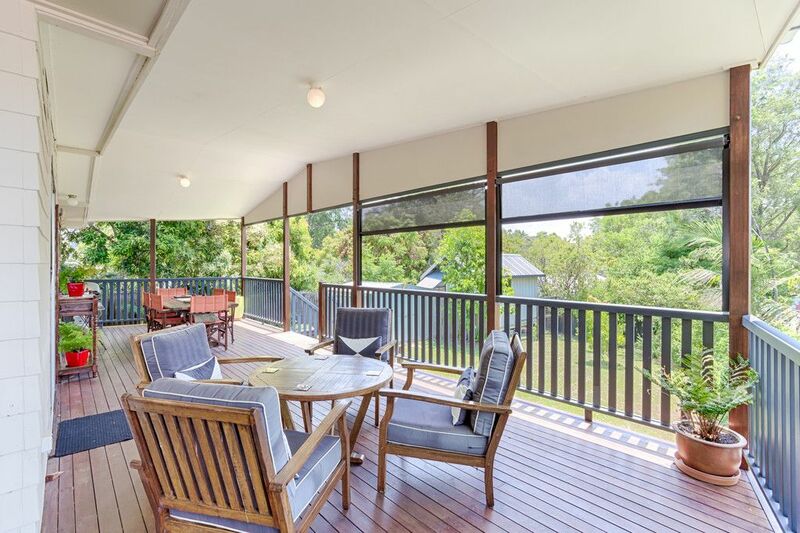 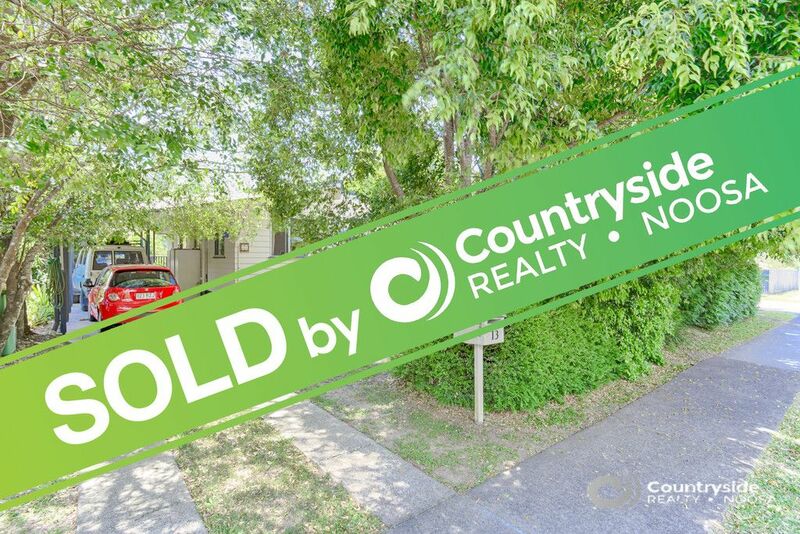 One of the best valued Homes in Cooroy and it will not last long, call Brian at Countryside Noosa on 0423 475 914 to inspect.